Are You Ready for a Gap Year? Our youngest daughter left for college this fall. Last spring when she was considering her future path, she came home one day excited that one of her friends would be taking a Gap Year. The ensuing conversation turned out to be an eye-opener for me, because it changed my whole outlook on what happens during gap years. And surprisingly, this led me to think differently about life at the other end of the career spectrum from my daughter’s: retirement. But before I share my epiphany and how it could affect your retirement plans, I’m going to go back to that initial moment when my daughter brought up the idea of taking time off. It’s important, because it lays the groundwork for what I’m about to share with you. Hearing my daughter’s excitement about Gap Year caused a small yet urgent alarm to go off inside me. I decided I’d better take action: this was a good time to take a short break from telling the neighborhood kids to get off my lawn, and have a heart-to-heart with her. It was the perfect opportunity to share our official family policy (well, mine at least) on Gap Years. ‘If it doesn’t involve going to the mall and getting a job at The Gap, it’s a non-starter’ I explained. OK, I’ve been known to be a bit Old School at certain times, and this was one of those times. To me, it seems straightforward: graduate from high school, then either go to college or get a job. Simple. No roaming the Australian outback or cruising the Amazon River Basin in search of yourself. Alas, as with most of life’s important choices, this turned out not to be as simple as I’d thought. Among many things I’ve learned about our youngest daughter is that she is strong-willed. Not to be deterred, she decided that I needed some continuing education in this subject area. Fair enough. I listened to her explain the benefits of the Gap Year program that her friend had decided to embark upon. Secretly proud of her logic and debating skills at first, I suddenly realized with mild panic that she was actually winning me over. I’ll have to admit: she made a lot of good points, most of which I had not considered until that moment. Career Benefits to a Gap Year? First, I learned that there is a real structure behind Gap Year programs – it’s not about just roaming the savannah. I learned that there is actually an American Gap Year Association (who knew?). There are other established organizations, too – indeed an entire industry – aimed specifically at helping young people organize (and benefit from) their Gap Year experiences. Some U.S. colleges and universities are even officially recognizing and legitimizing the Gap Year with special fellowships for graduating high school seniors. Princeton University and the UNC/Chapel Hill are two notable examples. I also learned that Gap Years are not for everyone and there have to be the right resources and support in place. So here’s why I’m telling you all this. Isn’t there some truth to the saying ‘Youth is wasted on the young’? Why just between high school and college? What about between your working career and retirement? The parallels are so clear: if some students face burnout after four years of high school, what about adults who have raised a family or worked 30 years? Or both? Wouldn’t a Gap Year help the rest of us get clarity on what to do next? Could that lead to higher satisfaction with what people decide to do after they retire? Darn it, where’s our Gap Year for Grown Ups Association? Enter the Post-Career Gap Year. In fact, I came to find out, it looks like many grown-ups are creating their own post-career Gap Years – and then some. A recent Merrill Lynch/Age Wave survey¹ found that 52% of retirees surveyed take a break from working when they retire to “relax, recharge and retool” before re-engaging with various pursuits. The good news for them is, a Career Builder survey² discovered that over half of employers in the U.S. hired “mature” workers in 2014, which is up from the previous year. 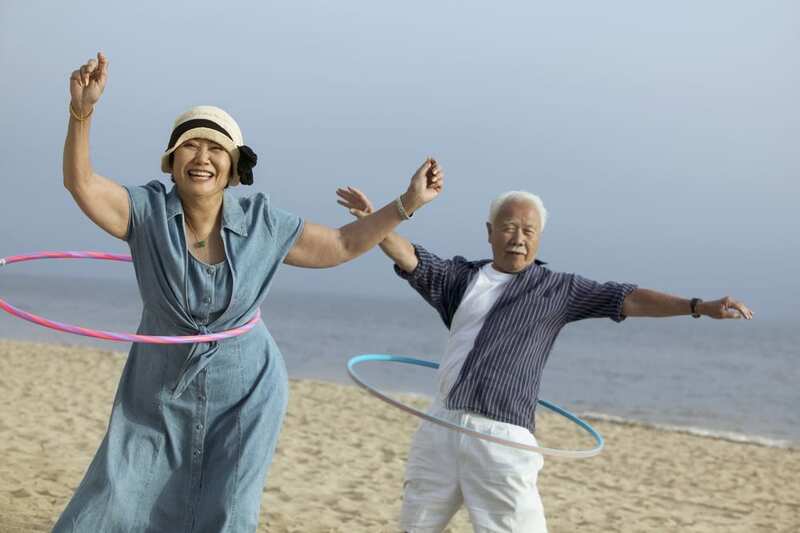 What’s striking, however, is that the Merrill Lynch/Age Wave survey found that the average break between working and re-engaging in post-retirement activities was 2½ years. That means Gap Years – plural – which may or may not be such a great idea. The survey sounded a note of caution that taking a 2½ year sabbatical may make re-entry more difficult if work is part of your future plans. So maybe a Gap Year – or so – would be just right. Interested? Our coaches can help. What would you do – or what have you done – with a Grown Up Gap Year? Leisure in Retirement: Beyond the Bucket List.(2016). A Merrill Lynch Retirement Study conducted in partnership with Age Wave.